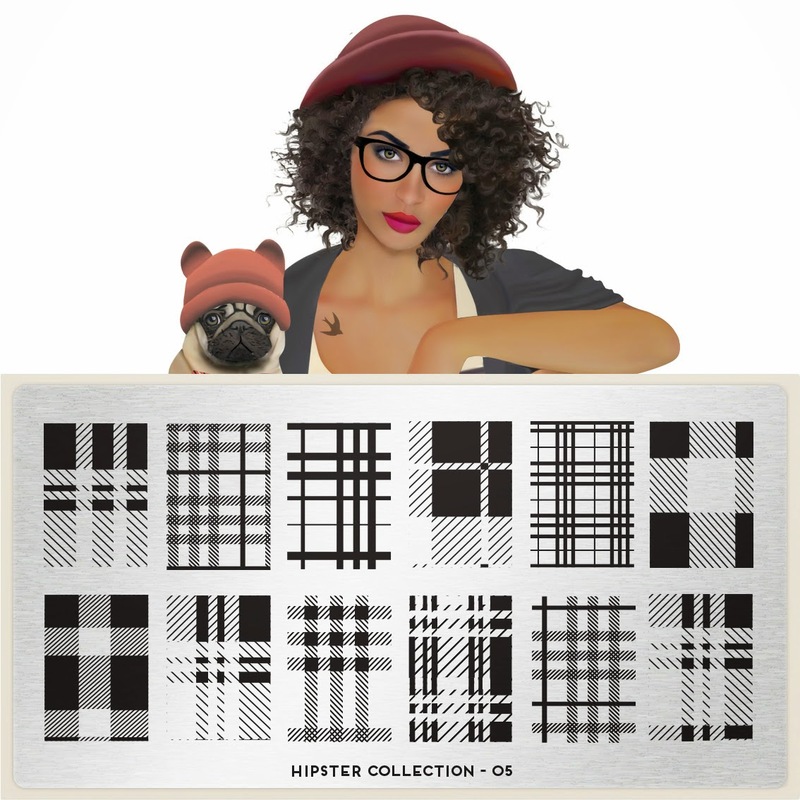 Lacquer Lockdown: Hot Off the Stamping Press: Hipster Collection Expansion! 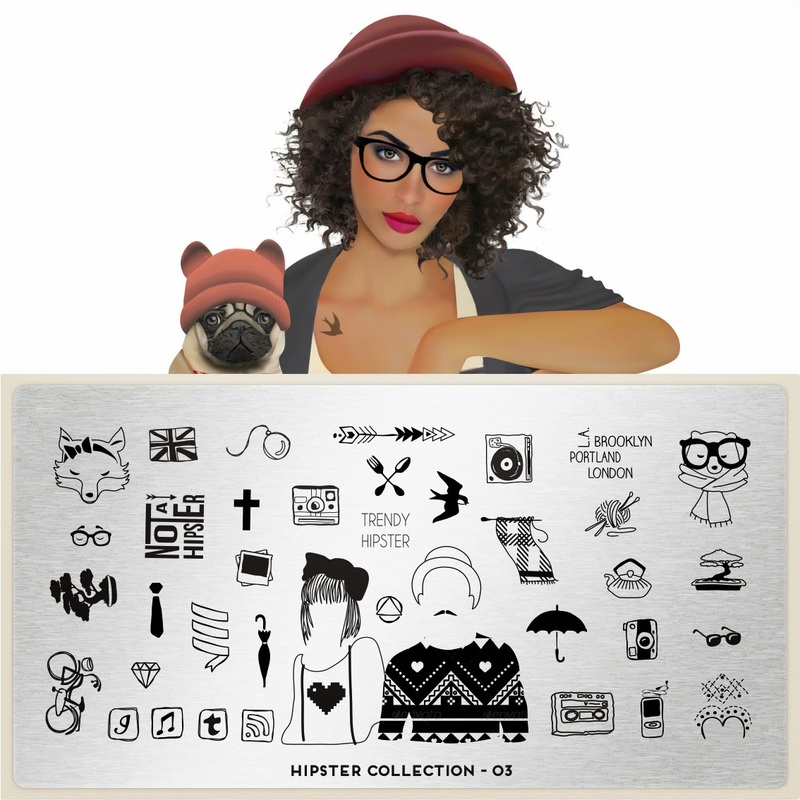 Hot Off the Stamping Press: Hipster Collection Expansion! That darn precocious pug is back! 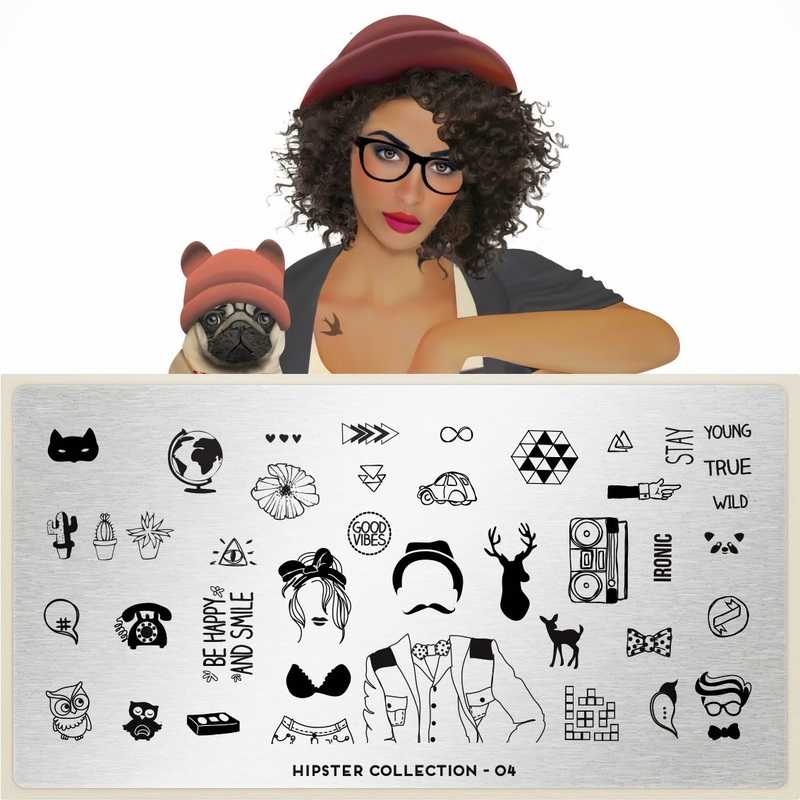 More bearded men and hipster ladies, a few more social media icons, and just all around quirkiness that relates to the hipster motif. I'm loving the stylized arrow and the fox! Lol why is the girl only wearing a bra? I cannot imagine stamping that on my nails to create anything that works with the other images, but I love the bow and her hair. The guys is adorbs! I mean really freaking cute as well as the little fellow in the glasses in the lower right corner. This plate is probably my favorite of the expansion minus the bra. Ladies in my Adventures in Stamping group were going crazy over these last two plates. Plaid, plaid, plaid. You know I like a good plaid so I also like this plate though I do think it's a LOT of a pattern I wear in bursts and surges during the winter. 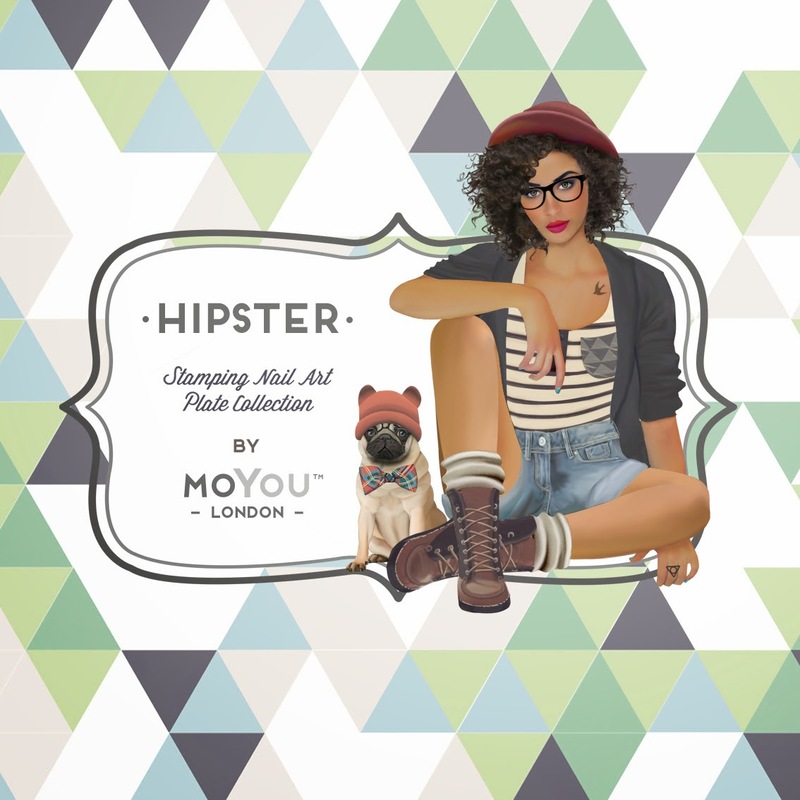 Maybe hipsters wear nothing else? Mmmh again this is a of the same pattern on two different plates even if one is the smaller version with a few extras. I'd probably pick the first one and live without the second despite the fact that I also feel like when I do that I miss one row of different patterns made for the shorter nail ladies. LOL! 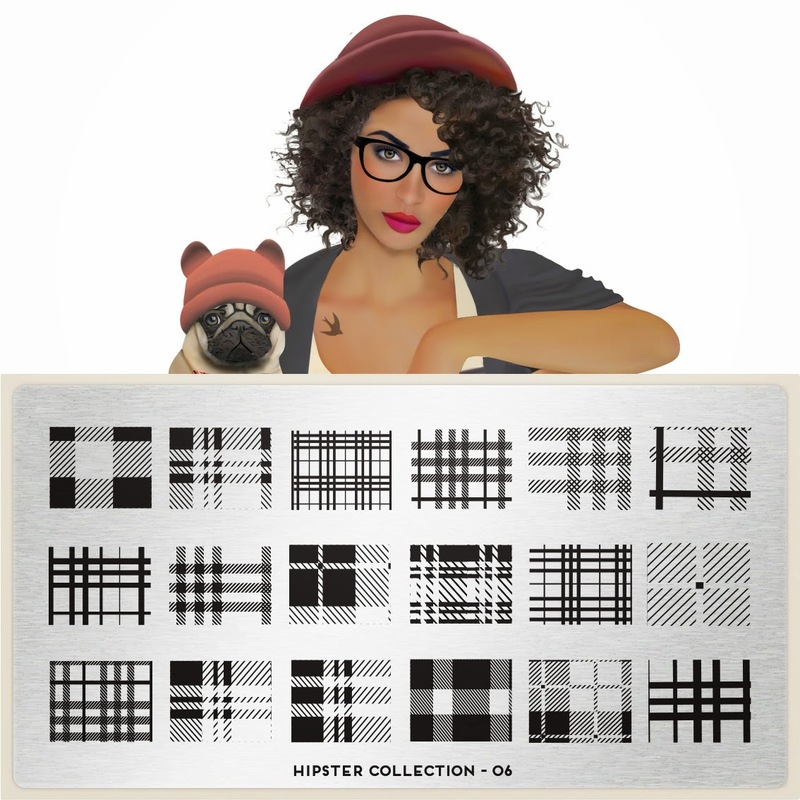 I just got Hipster 1 and 2 and now I'm going to have to order more. These plates look too awesome!